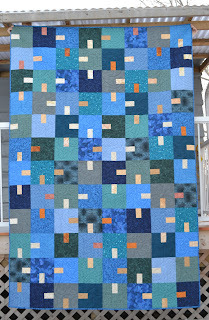 Just came back from the Post Office where I sent these quilts off to their new home in Texas! 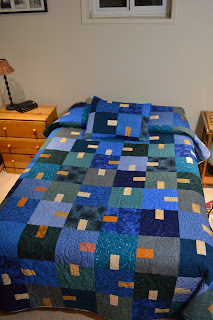 It's so exciting to see where my quilts are ending up and these bright blue quilts were a pleasure to make. These photos are taken in our basement guest room which was repainted earlier this year from a chocolate brown to a creamy white. 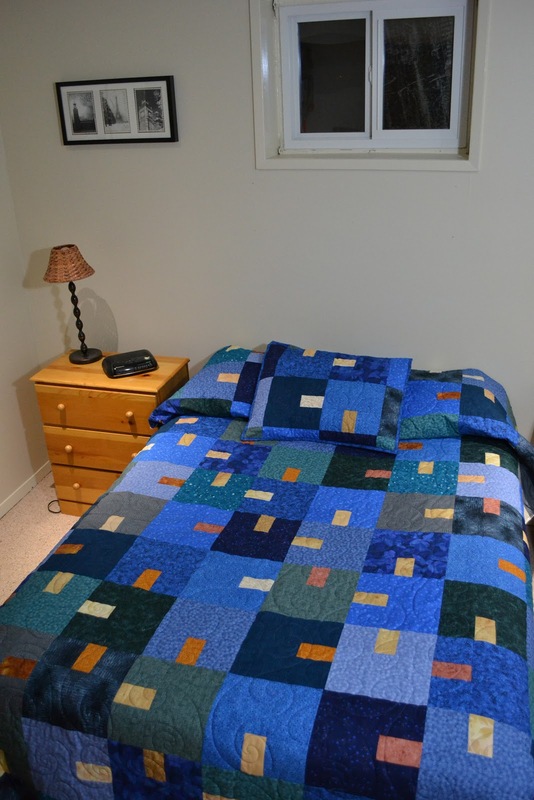 The room is much brighter now and the neutral colour means I can now take photos of my quilts there. I still need to make curtains for the window and am thinking that just a plain bleached muslin fabric would be perfect with a little black trim or embroidery to add some detail. 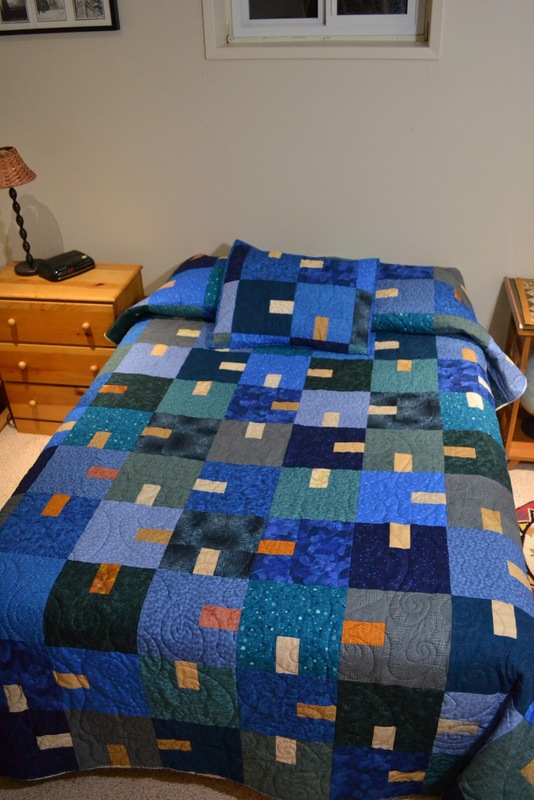 The pattern chosen by the customer was the Tempest from Cherry House Quilts. 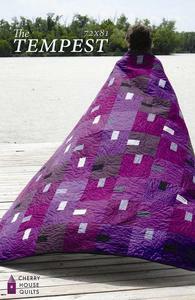 Isn't it gorgeous here in shades of purple Kona cottons? The pattern was lost in transit and so I just improvised so I could get these quilts completed, but Cherri is resending, so I'll have a copy soon! 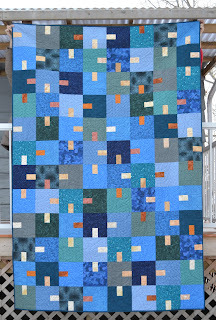 Cherri is the author of the quilt book "City Quilts" which I've borrowed from the library and is on my quilt book wish list! My sewing machine has been humming and I will be busy this week finishing gifts for Christmas! Very lovely! 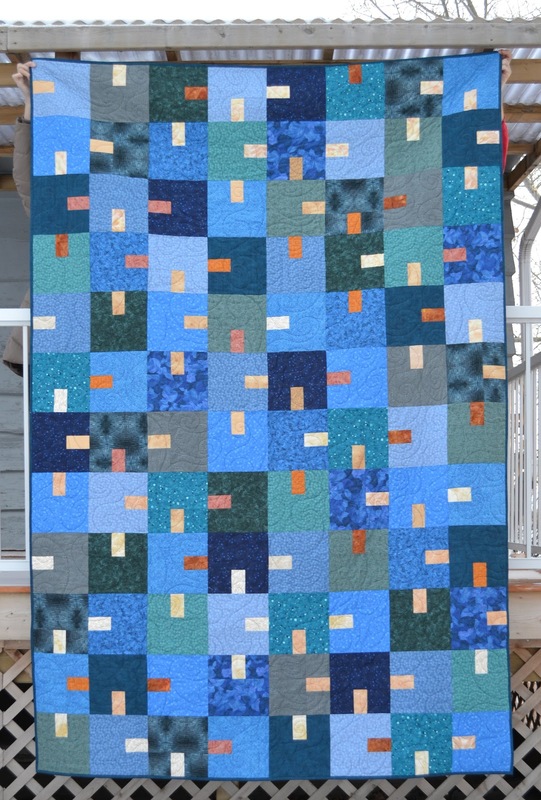 I love the simplicity of Cherry House' quilts. I'm sure your customer will love them too. 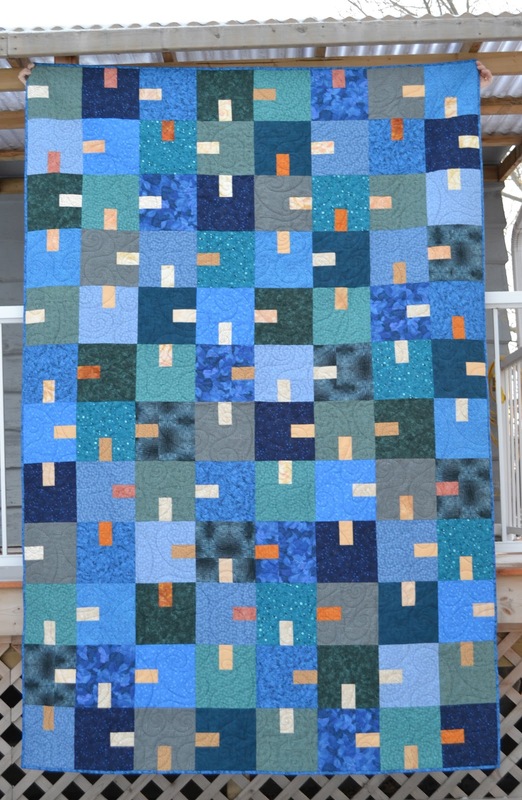 The quilts turned out great! You did a wonderful job recreating the pattern.